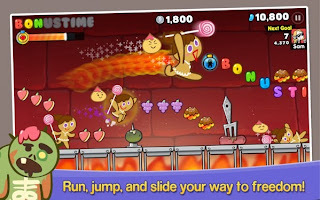 LINE Cookie Run is a new side-scrolling endless runner game for the iOS and Android that links up to the LINE social network. You play as what looks like an angry version of the gingerbread man from Shrek, and your goal is to outrun the witch that is trying to catch you and cook you. Pencet dan Tahan File “ UnlockConditionList.djb “ , klik Permission.